DatScan is the first-and-only FDA-approved imaging agent to help physicians determine whether patients have a parkinsonian syndrome (PS) such as Parkinson’s disease (PD). DatScan imaging may help physicians provide timely and appropriate diagnosis and treatment. At X-Ray Associates of New Mexico, we don’t follow. We lead. Our team has introduced many new diagnostic procedures to the state over the past decades and we continue to set the bar higher. XRANM offers a comprehensive range of diagnostic imaging procedures that cover all the modalities in radiology. For over 65 years, X-Ray Associates of New Mexico, PC has made diagnostic imaging available throughout the state. As a practice, we are committed to supporting our referring physicians and their patients by providing personalized care, excellent customer service and quality imaging. The specialized staff at each of our facilities provides a full range of radiology procedures, utilizing the most advanced medical technologies available. With expertise in neuroradiology, musculoskeletal, interventional radiology, mammography and PET/CT Imaging, X-Ray Associates of New Mexico is a recognized leader in the imaging field. Computed Tomography scans (also known as CT or CAT scans) use special X-ray equipment to obtain information from different angles around the body. Computers are then used to process the information and create cross-sectional images that appear as “slices” of the body and organs. X-Ray Associates has a state-of-the-art Phillips 64 slice multi-detector CT scanner and a GE Discovery LS Multi-slice CT scanner. These multi-detector scanners rapidly acquire high-resolution images decreasing patients’ scan time. Magnetic Resonance Imaging (MRI) is a non-invasive, painless procedure in which radio waves and a magnetic field are assisted by a computer to create remarkably clear and detailed pictures of internal organs and tissues without the use of radiation. Each MRI produces hundreds of pictures from side-to-side, top-to-bottom and front-to-back. These pictures show the difference between normal and diseased tissue and enable radiologists to determine what the inside of a particular structure looks like. Vascular Radiology, or Interventional Radiology, uses minimally-invasive image-guided procedures to diagnose and treat diseases in nearly every organ system. These targeted procedures can look inside the body while they guide tiny catheters and other instruments through the blood vessels and other pathways of the body to the site of a problem. Interventional Radiology at XRANM can sometimes actually treat a number of medical disorders without surgery. XRANM Radiologists get images which are then used to direct interventional instruments throughout the body. These procedures are usually performed using needles and narrow tubes called catheters, rather than by making large incisions into the body as in traditional surgery. Vascular Ultrasound or Doppler is a non-invasive imaging method that uses high-frequency sound waves to produce images of vessels within the body. The high-frequency sound waves are concentrated into a thin beam and directed into the body with a transducer, which is a small hand-held wand that the technologist uses to perform the examination. The sound waves reflect off internal structures. The returning echoes are received by the transducer and then processed by a computer to produce real-time images. Vascular Ultrasound is commonly used to evaluate veins and arteries in the arms, legs and neck. They are also used to evaluate the vessels leading to organs in the abdomen. X-ray imaging (radiography) is still the most commonly used technique in radiology. To make a radiograph, a part of the body is exposed to a very small quantity of X-rays. The X-rays pass through the tissues, striking a film to create an image. X-rays are safe when properly used by radiologists and technologists specially trained to minimize exposure. No radiation remains after the radiograph is obtained. X-rays are used to image every part of the body and are used most commonly to look for fractures. They are also commonly used to examine the chest, abdomen, and superficial soft tissues. X-rays can identify many different conditions within the body, and they are often a fast and easy method for your doctor to make a diagnosis. PET (Positron Emission Tomography) and CT (Computed Tomography) scans are both standard imaging tools that physicians use to pinpoint disease states in the body. A PET scan provides physiologic information about the body, while the CT scan provides anatomic information about the body. By combining PET with CT, the radiologist can not only identify regions of abnormal function but also accurately localize those regions. Your physician will order a PET to diagnose and create a treatment plan that is appropriate for your needs. PET images contain information about tissue function. PET uses a radioactive isotope that absorbs into tissue. Although all normal cells in the body use glucose, certain diseased cells, like cancer cells, utilize more glucose. The PET/CT visualizes these highly metabolic diseased cells. Nuclear medicine a diagnostic test that utilizes a small amount of radioactive material that is either injected intravenously or given by mouth. It is usually targeted to a specific organ area such as the bones, thyroid, lungs, heart, internal organs, and breasts. Because it emits gamma rays, these Nuclear Medicine can be detected by a gamma camera and computer, and a functional and anatomic picture of the respective organ can be displayed showing either increased or decreased activity. Magnetic resonance imaging or MRI uses a magnetic field, radio waves, and a computer to create three-dimensional images of the breast. 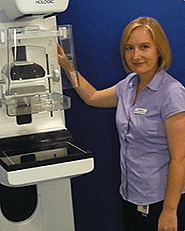 MRI of the breast is one of the most sensitive imaging tools available for detecting new or recurrent breast cancer. Diagnostic Radiology is a field of medicine used to diagnose, but not treat, a variety of human ailments. We use non-invasive procedures like Xrays, CT scans, MRI scans & ultrasound to identify problems in the human body. YOU HAVE A CHOICE WHEN IT COMES TO OUTPATIENT IMAGING. Savvy consumers shop around for everything but when it comes to medical imaging, many don't realize the importance of comparison shopping. Are you concerned about how much your MRI, CT scan, ultrasound, x-ray or other exam will cost you? Find out more about it by calling our office. Did you know that you have a choice when it comes to diagnostic imaging? If your physician has recommended any kind of radiological testing, you should say you want to go to X-ray Associates. Our experience and technology is second to none, and you’ll never be just a number with our dedication to outstanding service. A choice that combines state-of-the-art technology, unparalleled experience and unequaled dedication, working together for every patient. In many areas of the country, your options for radiology and diagnostic imaging may be quite limited, often relegating patients to the large hospital systems. With the seven imaging centers we have available throughout the state, you do have a choice, where we combine fast service and accurate results with the most compassionate care and comprehensive cost options. We know that your health comes first and our entire staff is dedicated to your complete satisfaction.